A formal offer was rejected by Tottenham Hotspur within two hours, but the Chelsea are expected to return with improved terms imminently. Roman Abramovich is desperate to add more creativity to Chelsea’s midfield and reduce the average age of the club’s squad, leading the Russian and his advisers to identify the Croatian international as their priority transfer target. Chelsea’s owner is determined to press ahead with the signing despite the fact that he is yet to appoint a replacement for manager Carlo Ancelotti. Spurs have previously made it clear that they intend to keep hold of all their key players after missing out on UEFA Champions League qualification. 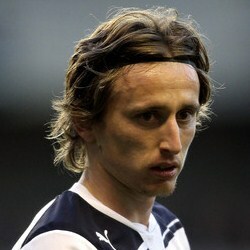 Harry Redknapp stated over the weekend that Modric was crucial to their hopes of future success. Modric, however, has refused to rule out the possibility of a transfer this summer.